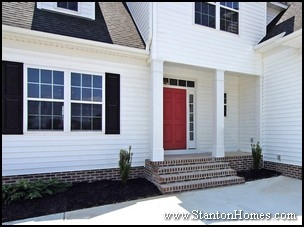 Love the layout in a favorite floor plan, but the exterior just isn't your style? 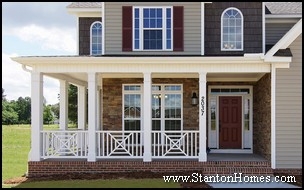 Bring it to Stanton Homes and find out how easy it is to redesign the exterior facade of nearly any home. 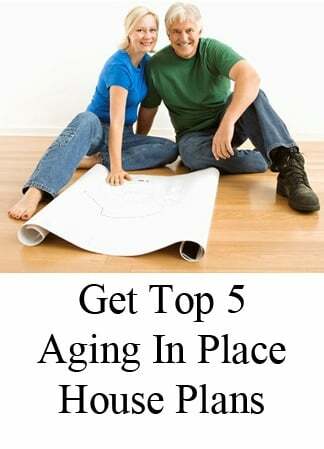 Take a look at this example! 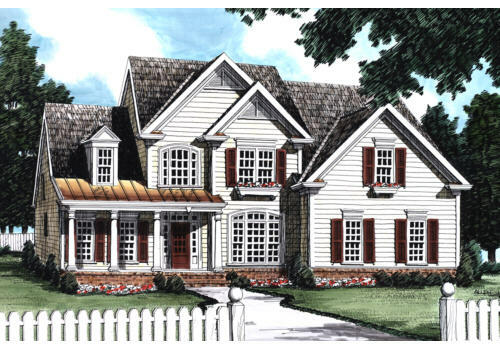 Here's where one major face change started - The Hopkins, a floor plan concept by Frank Betz that had an interior the homebuyers loved but an exterior they wanted to be different. 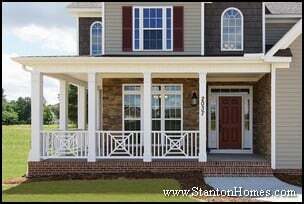 They asked the design team at Stanton Homes to customize their floor plan exterior to include a wrap-around porch with craftsman columns and a metal roof. 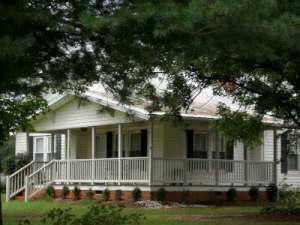 We took everything into consideration, including special features on their home site such as their large lot and country setting that brought forth visions of hot apple cider and rocking chairs on the extensive veranda. 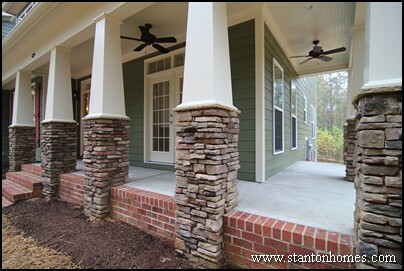 The homebuyers were thrilled with the final result - a Craftsman style exterior that showcased the floorplan they fell in love with. 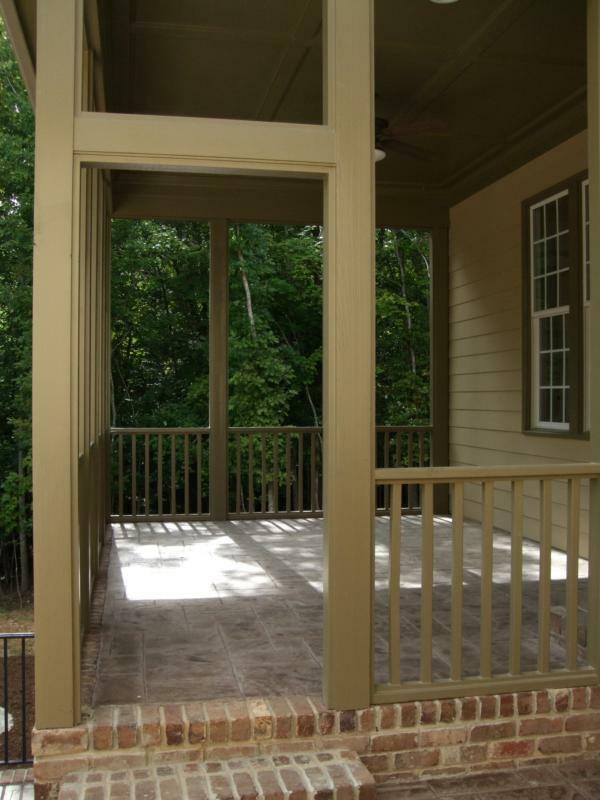 - Small front porch transformed to full wrap around front porch with Craftsman columns and classic veranda appeal. 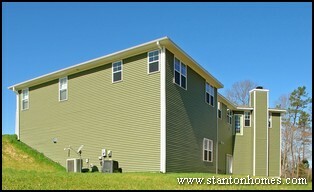 - Traditional roofline transformed to an interesting combination of shed dormers and alternate roof pitches. 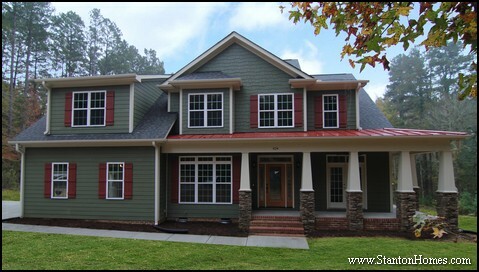 Want to know more about how to modify the exterior of a home plan that's appealing to you? 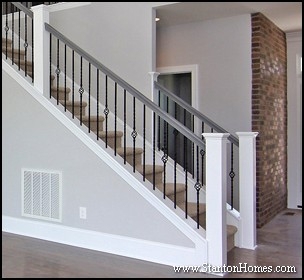 It can take as little as one short session with an expert custom home builder like Stanton Homes to create a look you'll love. 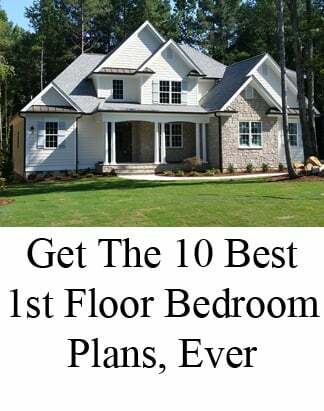 New home plans can offer a lot of flexibility, when you're working with an experienced custom builder who can envision the concept you have in mind - and translate it into a fresh new look that's designed just for you. 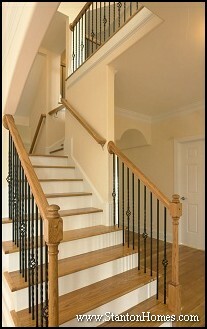 Watching your design transform is one of the most exciting parts about building a custom home. A coffered ceiling is a specialty ceiling treatment. This architectural detail divides a ceiling into a grid of recessed panels accented by dropped beams, usually in the form of multiple squares or rectangles, depending on the dimensions of the room. 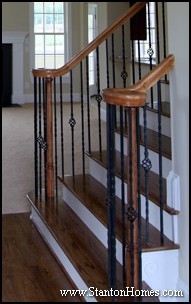 Each of the beamed sections of the coffered ceiling is then finished using a variety of interior trim options. Recessed can lighting is a great accent touch for a coffered ceiling, and provides soft, reflective light throughout the room. 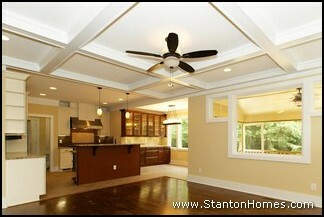 Each Stanton Home coffered ceiling is customized to the unique features of the room. 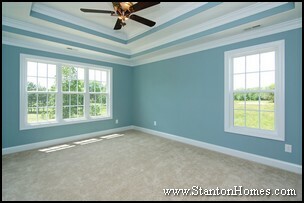 Read about these other custom home ceiling treatments, offered by Stanton Homes. 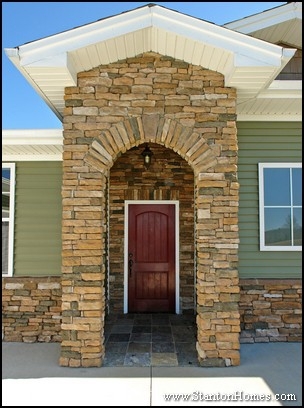 Signature Archways are included, at no extra cost, in all of our Stanton Homes, at every price point. 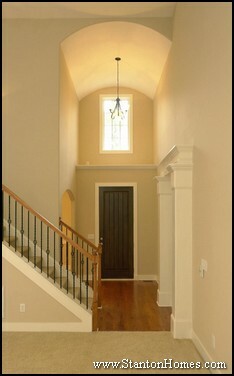 A Signature Trey Ceiling can add detail, dimension, and depth to nearly any room in your new home. 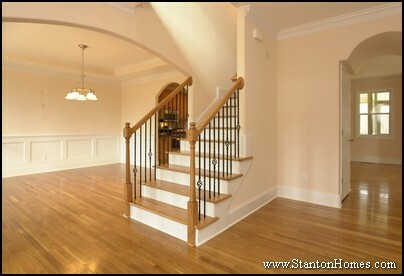 Make your foyer welcoming, gracious, and distinctive, with a Stanton Homes Signature Barrel Vault Ceiling. Trends show that more homeowners are putting their money, time, and effort into creating their perfect kitchen design, with a smooth integration of both form and function. Among the more popular kitchen design trends is the addition of a Butler’s Pantry. A Butler’s Pantry can be added to new custom homes of nearly any size and budget. There are a few questions you should be able to answer, before you talk to your custom home builder about adding the butler’s pantry to your favorite floor plan. 1. What is the purpose of the Butler's Pantry? Need more storage space for your kitchen or dining room? 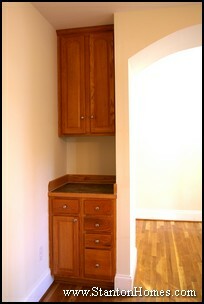 Butler's Pantries are often equipt with cabinets, shelves, and doors, perfect for easy reach of often-used items. 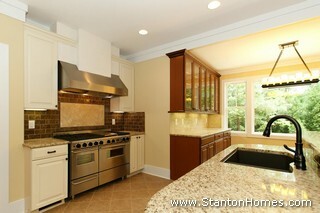 Kitchens have become an area for entertaining, not just cooking. Butler's Pantries provide additional serving area you may need to put the finishing touches on a meal, while keeping the main kitchen areas clear for conversation. The Butlers Pantry can include decorative shelves or display areas, plate racks, wine racks, stem glass holders, and more. 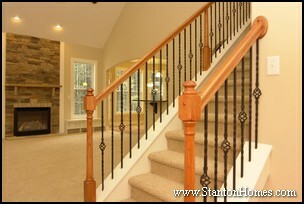 This would be a great place to show off your china, silver, and wine selections. 2. 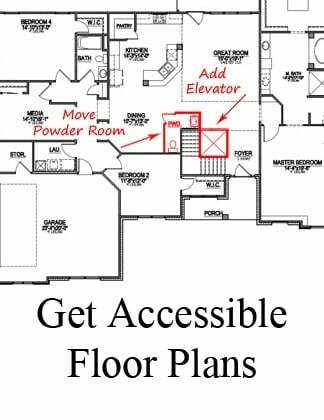 Where should the Butler's Pantry be placed? 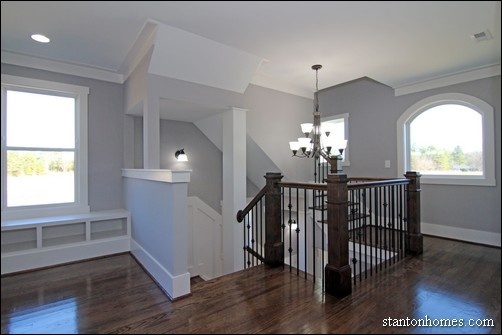 Between the Kitchen and Formal Dining Room. A Butler's Pantry can generally be found in-between the Kitchen and the Formal Dining Room. 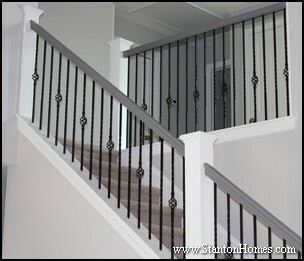 This area allows for convenience, while still showing off the unique features of the pantry. 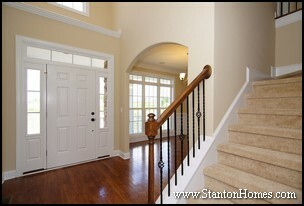 Butlers Pantries make great use of small hallways, particularly around staircases. An Alcove off the Dining Room. A Butlers Pantry can also be tucked in an alcove off the dining room itself. 3. What style and size should your Butler's Pantry be? Butler's Pantries can be simple or more complex, depending on the price point of the home. A butler's pantry usually offers some countertop space that matches the countertops found in the kitchen. 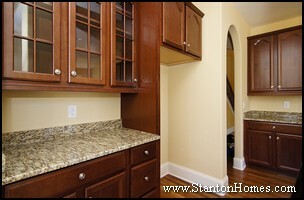 You can keep your granite countertops, if you are looking to create a smaller, simpler storage area. 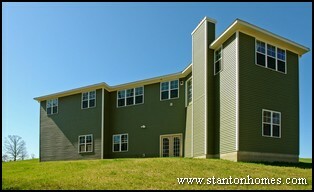 The key is to keep the area practical and convenience. 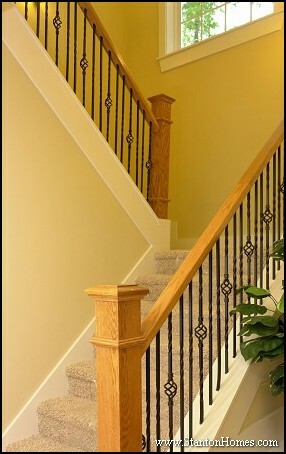 Want the additional storage space, while still creating a showcase? Crown molding, decorative hardware, and countertops all add to the appeal of a butler's pantry, while still keeping within a budget. 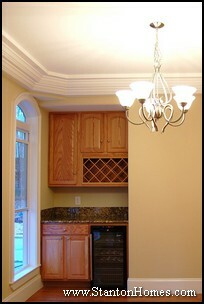 Cabinetry can either match the kitchen, or contrast for more texture and color. Glass doors can be very appealing in a Butlers Pantry. 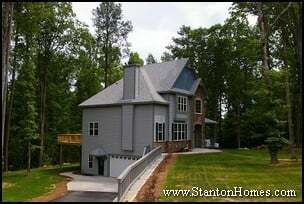 Larger homes have room for extensive butlers pantries, with tiers of drawers and cabinetry. 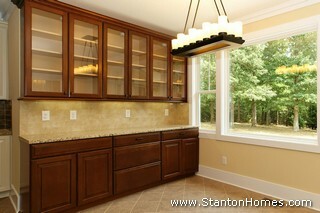 Luxury homes sometimes feature extensive butlers pantries, with built in wet bars, premium wine coolers, and much more. Luxury butler pantries are often created from scratch by custom cabinet makers. 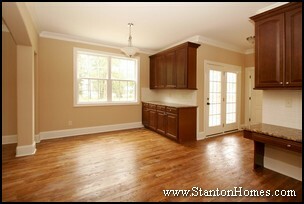 Remember, Butlers Pantries can be included in homes of nearly any size and budget. 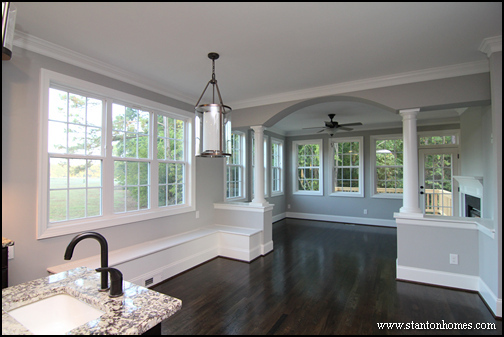 Ask your custom home builder how to incorporate a butler's pantry into your floor plan. 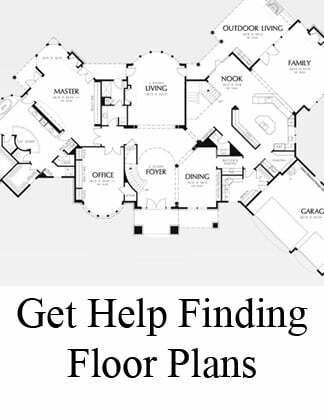 Contact us about how to incorporate a butler's pantry in to your new home floor plan. 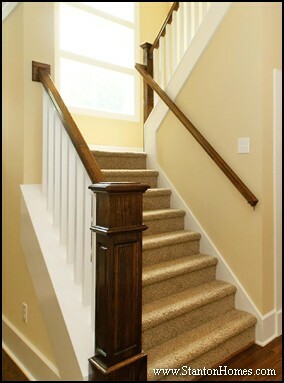 We can work with you to modify nearly any floor plan.